In 1995. Estevan Oriol (then known as DJ Scandalous) and B-Real from Cypress Hill sat down with their Soul Assassins brother Mr. Cartoon to discuss a new venture. At the time, Mr. Cartoon was struggling to balance his time between the development of his artistic vision, unique tattooing style and the expansion of his fledgling clothing line, Joker Brand Clothing. 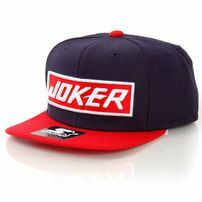 It is there that the story of Joker Brand Clothing begins.